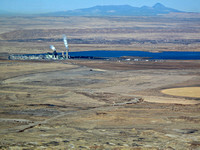 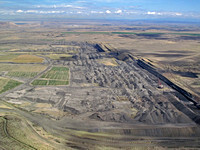 Description: The Four Corners area is home to two of the highest polluting coal plants in the western United States. 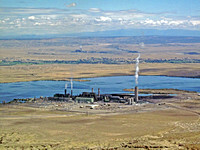 The 1,800-megawatt San Juan Generating Station and the 2,040-megawatt Four Corners Power Plant, on Navajo Nations land, burn over ten million tons of coal per year, discharging into the air approximately 42,000 tons of nitrogen oxides, 12,000 tons of sulfur dioxide and 1,300 tons of particulate matter. 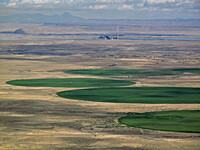 High levels of ozone in the Four Corners region approximate those of large urban centers such as Denver, Phoenix and Dallas. 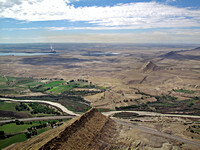 In addition to being a health hazard, the ensuing brown haze is having a huge visibility impact on Class 1 National Parks, including Mesa Verde, Canyonlands and Arches National Park. 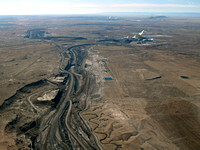 In January 2011, The San Juan Citizens Alliance, together with other conservation groups, sued the Department of the Interior’s Office of Surface Mining for failing to protect the San Juan River ecosystem from the impacts of energy development. 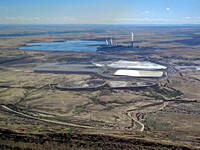 Coal mining, combustion at the Four Corners Power Plant and the disposal of tens of millions of tons of coal-combustion waste, are putting mercury, selenium and other deadly toxins into the San Juan River. 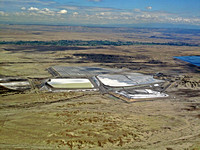 The lawsuit was prompted by a draft biological study by the US Fish and Wildlife Service that shows that 64 percent of the endangered Colorado pike minnow in the San Juan currently exceed mercury contamination thresholds and high levels of selenium are impairing growth, reproduction and survival in 40 percent of razorback sucker offspring.